Any true fan of pizza knows that not all slices are created equal, and there can be a big difference between an average pie and a great one. 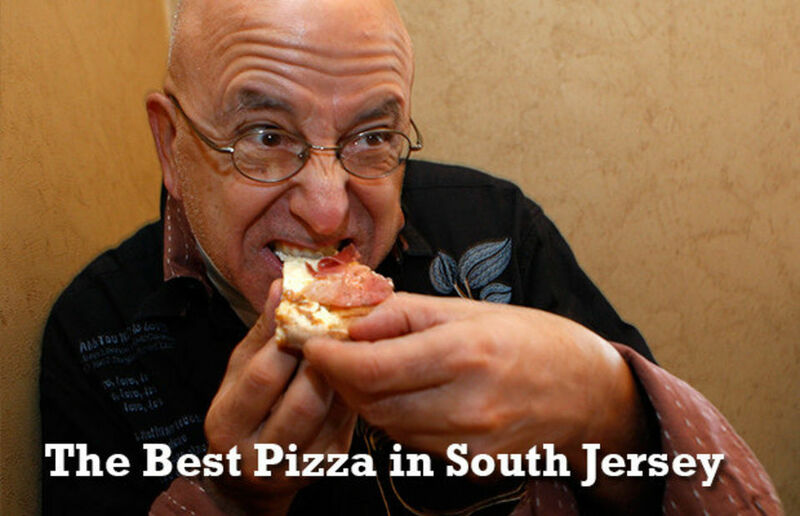 Author and pizza-lover Peter Genovese claims to have “eaten at more different pizzerias in New Jersey than anyone alive” at over 500 restaurants. At least 375 of these occurred during The Star-Ledger’s Pizza Patrol which lasted over six months and resulted in a book titled A Slice of Jersey. In 2014, he did it again. This time, he limited his search to southern New Jersey. He went from the east side of the state to the west, investigating pizzerias on major highways and back roads, from malls and strip malls, to converted houses. Not a fan of pepperoni — claiming “the world’s most popular topping is the world’s most boring topping” — or chicken on his pizza, he tried two to three slices at every location. In general, plain, tomato, margherita, sausage, and Grandma slices were his favorites. His South Jersey road trip covered 547-miles, lasted three days, included 25 stops, and 60 slices. This list of the ten best slices of pizza is part of his legacy. 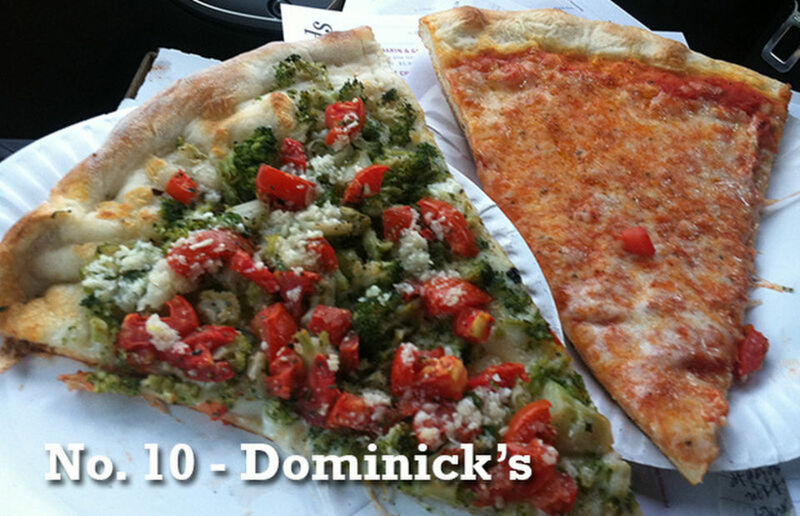 Directly across from Oak Hill Cemetery, Dominick’s Pizza in Vineland offers a cheesy slice that provides an abundance of flavor rarely found in a plain slice. Dominick’s Pizza is located at 245 S. Delsea Drive, Vineland. The phone number is (856) 794-3331. 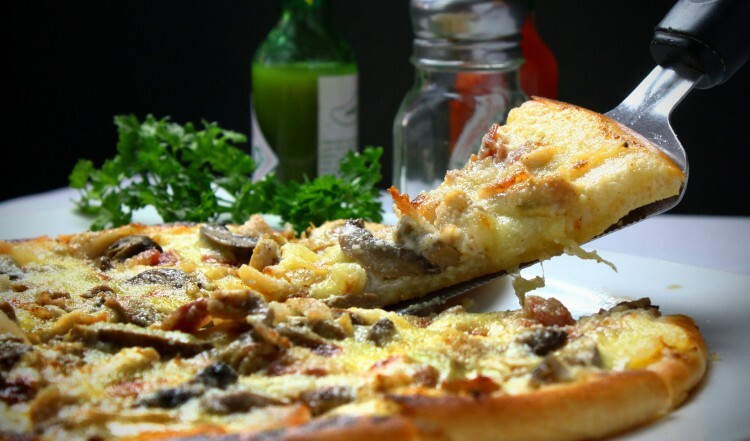 This quaint pizzeria is found in the front of a tree-shaded, two-story house. The proprietors offer B&B hospitality, even stocking the restroom with reading material, such as PMQ Pizza Magazine. With this attention to detail it is of little surprise that the best slice in the house was the crunchy and cheesy Grandma slice. 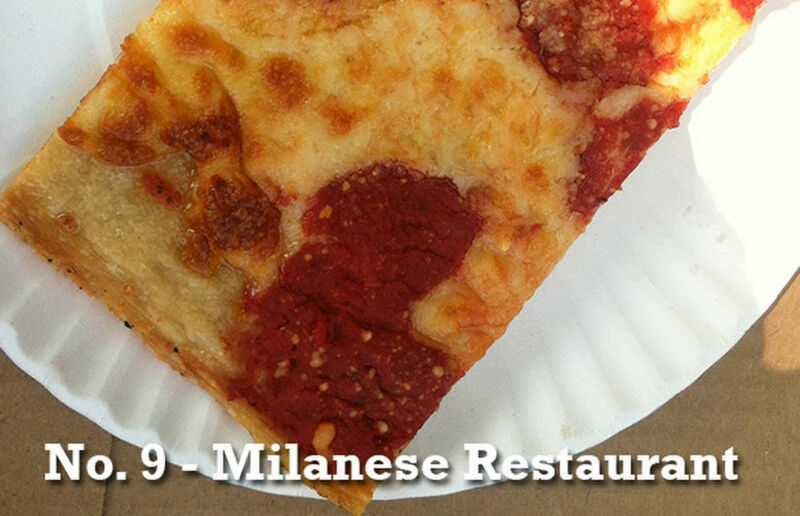 Milanese Pizza is located at 519 Howard St., Riverton. The phone number is (856) 786-1414. 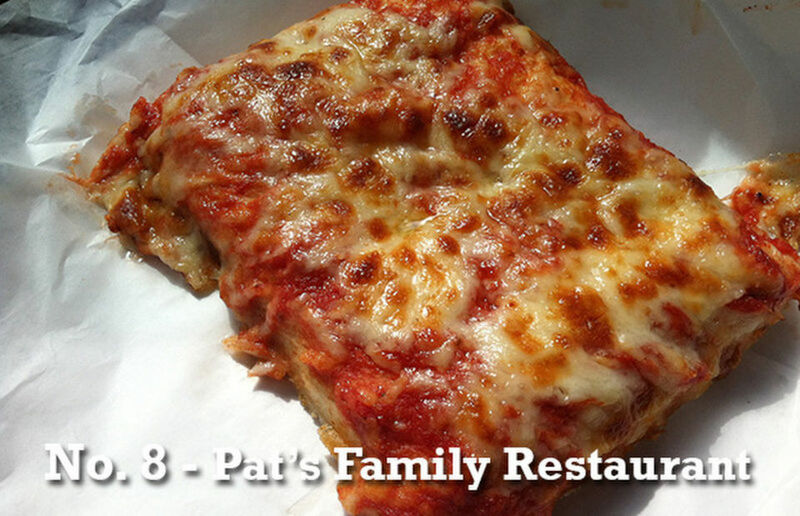 Although it looks like a fast food eatery, Pat’s Family Restaurant in Pennsville provides a satisfying slice. Started in 1974, it has grown to a chain of 16 South Jersey locations. The plain slice has a Sicilian appearance. Best of all, it is a mere $1.50 for a large, tasty slice. Pat’s Family Restaurant can be found at 102 S. Broadway, Pennsville, along with several other locations. The phone number is (856) 678-5888. This was entirely a diamond in the rough. Kate and Alexander Stefan opened their Farmers Market pizzeria in 1955. The plain pizza features their closely guarded family secret of a sauce that sits on top of the cheese. 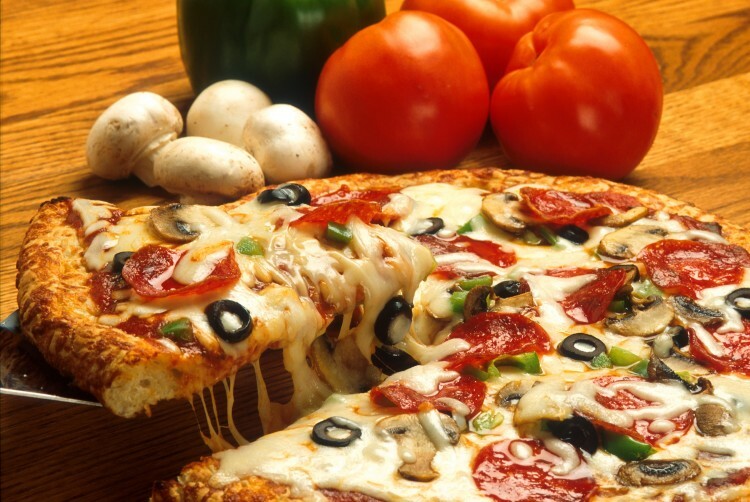 Made fresh, customers typically wait at least a half an hour for an entire pizza, but slices are typically available. 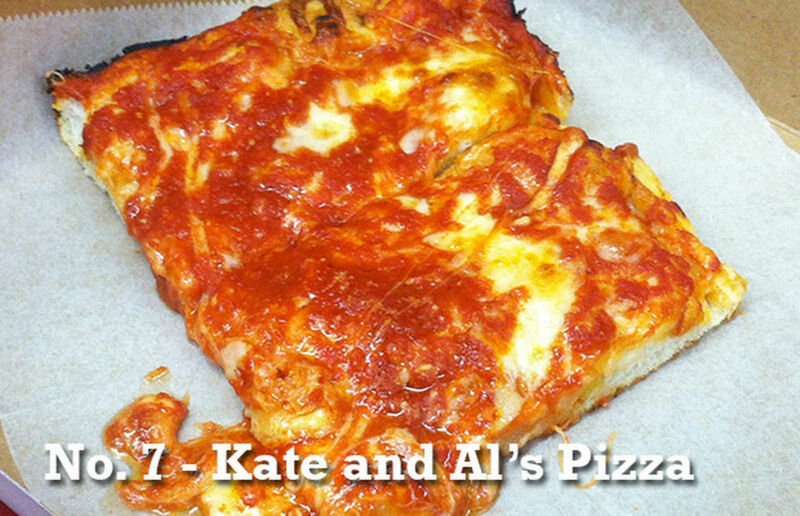 Kate & Al’s Pizza is located at store 101 in the Columbus Farmers Market, 2919 Route 206 south in Columbus. 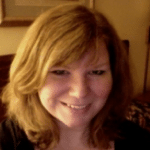 The phone number is (609) 267-1147. “The trouble with eating Italian food is 3 days later, you’re hungry again.” says the apron on the robust pizza man figure in front of Bruno’s Restaurant and Pizzeria. The favorite here is the Grandma slice, which is a rectangular, thin Sicilian pizza with oregano, basil, and good cheese. 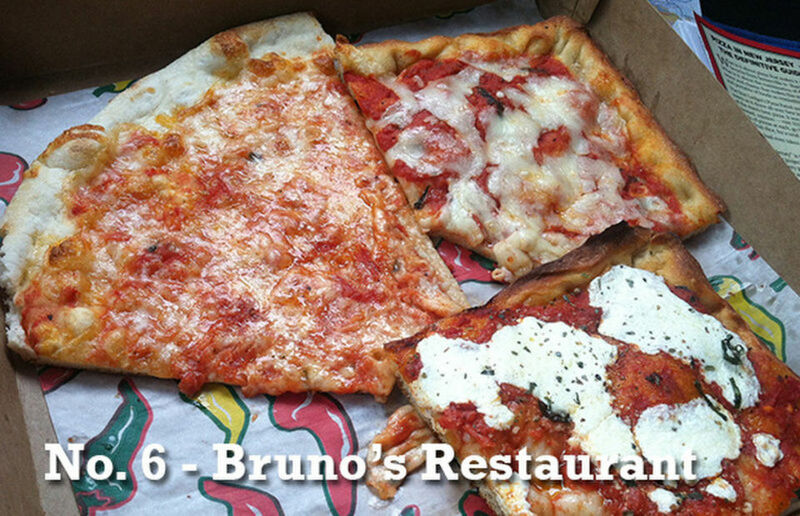 Bruno’s Restaurant & Pizzeria can be found at 509 Hopkins Road, Haddon Township. The phone number is (856) 428-9505. The family-owned business, which has been open since 1998, receives plenty of word of mouth recommendations from satisfied customers. Although the Sicilian pizza wasn’t his taste, the plain was one of his personal favorites. The thin, crunchy crust was topped with good cheese to make it a winner on his South Jersey road trip to find the best pie. 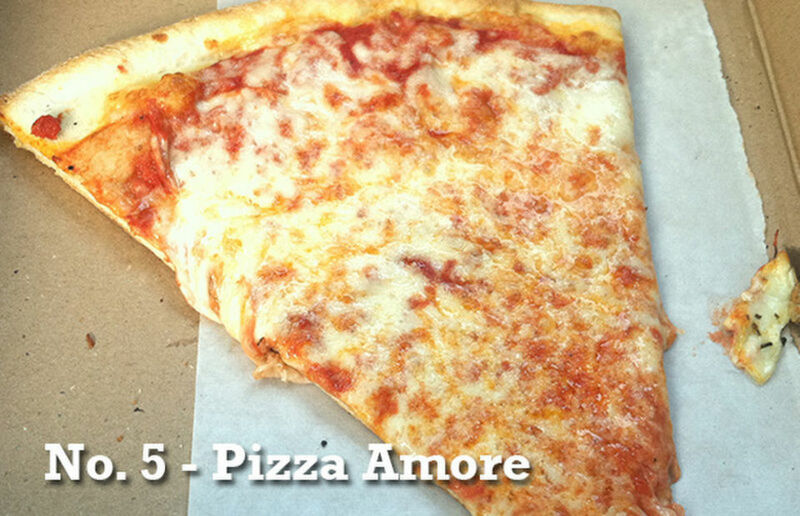 Located directly in front of a truck service company, the home of Pizza Amore is 77 Hartford Road in Delran. The phone number is (856) 764-4143. The margherita pizza is the reason to visit this establishment. This pleasant surprise combines olive oil, basil, and garlic with plum tomatoes and mozzarella. This simple slice is unpretentious and tasty. 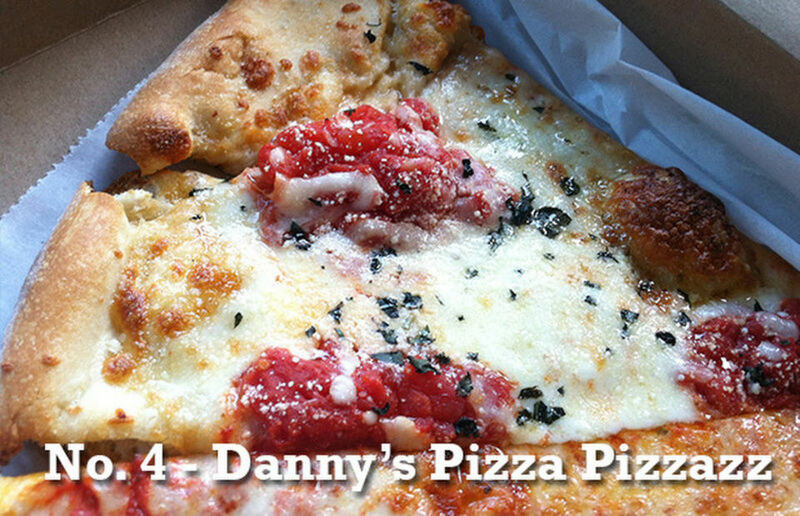 Danny’s Pizza Pizzazz is located at 1405 Mays Landing Road in Millville. The phone number is (856) 765-5716. Slice, in the Washington Township of Gloucester County, had been open for three years at the time of his visit. The Trenton-style pizzas—with the sauce on top of a thin crust—got its start in Philadelphia near the Italian Market. Although the tomato and plain slices were decent, the sausage pizza was the star of the show. It featured chunks of Maglio sausage rather than crumbled sausage making it far superior to many of its contemporaries. 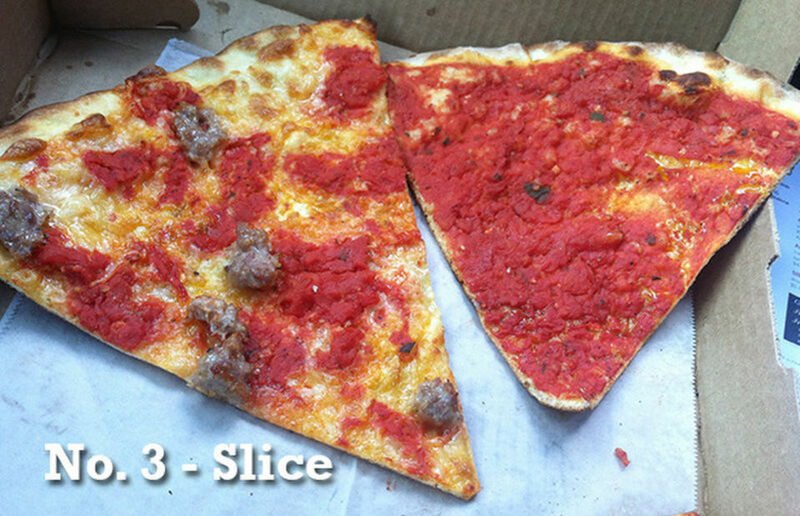 The South Jersey Slice can be found at 137 Egg Harbor Road in the Washington Township. The phone number is (856) 302-5099. 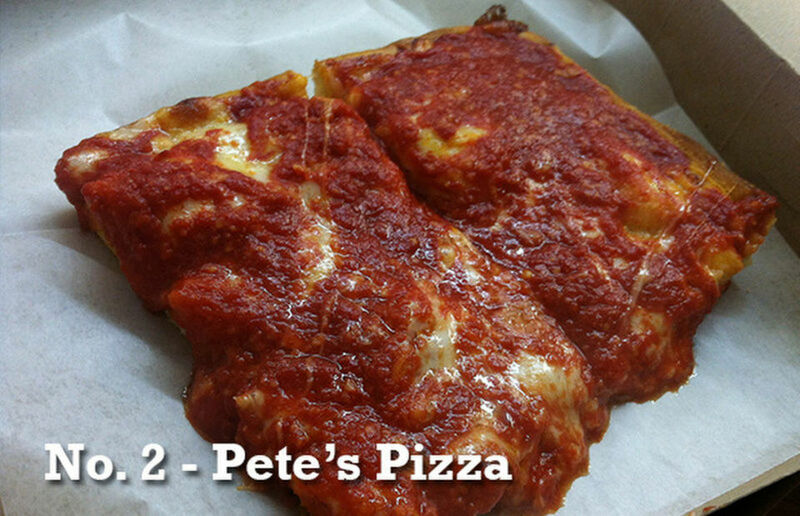 Although Pete’s Pizza is not as well known as Kate & Al’s, its tomato slice was deemed superior. In fact, Pete Bernath, the proprietor of Pete’s, is the brother of Kate. He opened Kate & Al’s and then opened his own pizzeria in a different section of the same market. It even has a counter that you can sit at to eat. The fresh, plain tomato slice was described as “nirvana”. Pete’s Pizza is located at Store 611, Columbus Farmers Market, 2919 Route 206 south in Columbus. The phone number is (609) 267-0166. 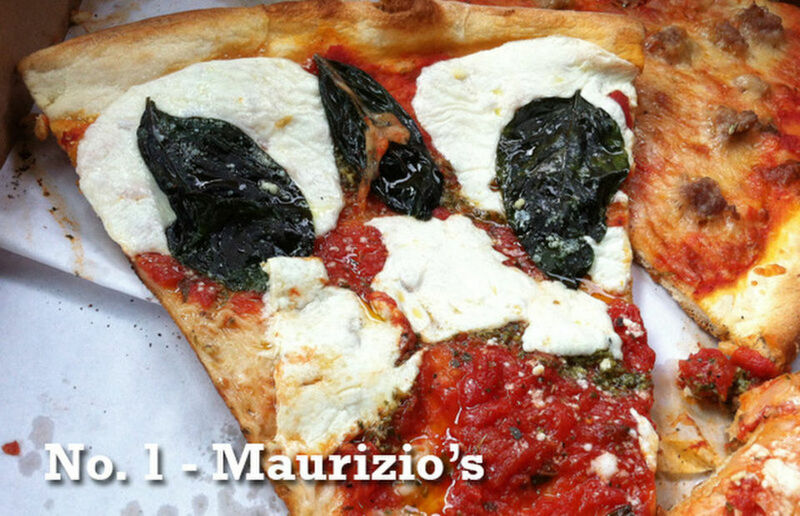 Maurizio’s Pizzeria & Italian Grille in Hamilton is where he found the best slice during his South Jersey road trip. This was the only location that had two out of the three slices tried that he considered noteworthy. The best two pizzas that he sampled were the margherita and the sausage. The margherita featured a fresh tomato sauce with fresh basil and mozzarella. Maurizio’s Pizzeria & Italian Grille can be found at 4125 Black Horse Pike in Hamilton, as well as at a second location at the Shore, in Neptune. The phone number is (609) 645-0028. Just like any other region, along with the mediocre pizzas, you can find plenty of good slices if you know where to look. To find truly great pies, you have to be willing to explore a little and experiment. Travel back roads, look in basement restaurants, and even flea markets. Please share with pizza loving friends and go on your own road trip for the ultimate slice. Like with many journeys, however, getting there is half the fun.